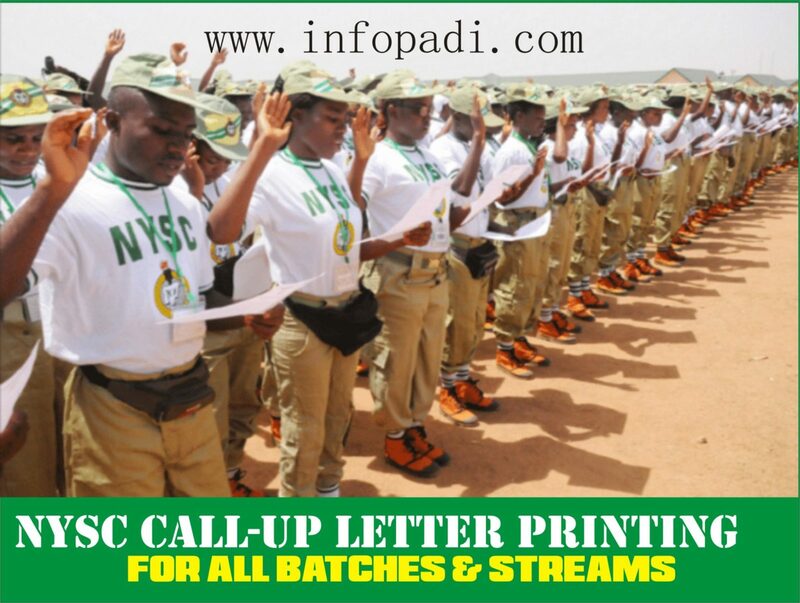 NYSC Batch B Stream II- Since you are reading this, it is assumed that you have met all requirements and as such you are qualified to participate in the NYSC mandatory one year program to serve your father’s land. 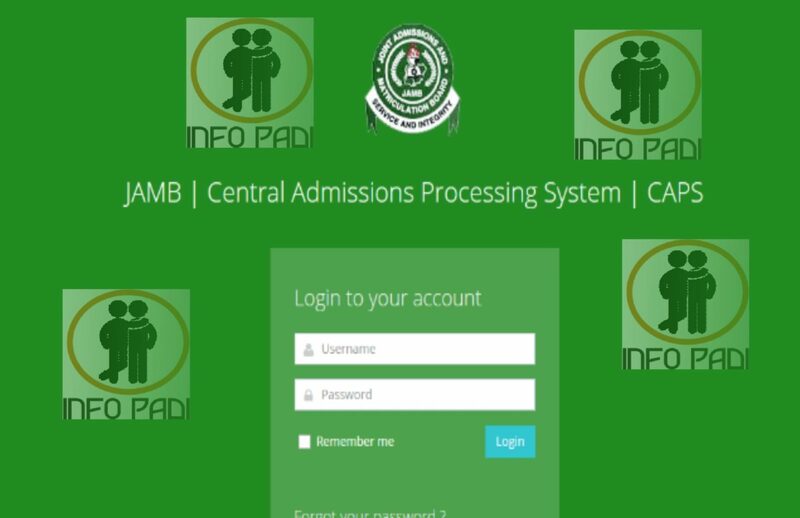 Also it is assumed that you have done all the required registration and it was successful, hence all that is left for you is to pack your bags and go for your national service. 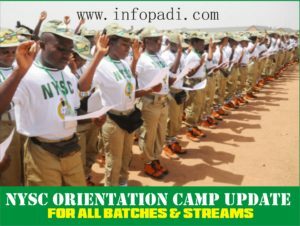 Be informed that the NYSC BATCH B STREAM II 2017 orientation camp would be opened on the 16th of January, 2018 and as such all prospective corp members that falls within this category should start preparing for the camping exercise. The orientation camp exercise/ swearing-in ceremony should take approximately three (3) weeks to be completed. The orientation camping exercise as earlier stated would commence on the 16th January, 2018 and would end on the 5th of February, 2018. You can now proceed to print out your call-up letter as it would be required of you to present it in camp during the documentation and verification exercise. After printing the call-up letter (it contains your call-up number) you are advised to prepare the below listed documents, so as not to get sent away from camp. Please Note- In order to cut cost, we encourage you to make at least 5 photocopies each of the listed documents. Also the school ID card is important if you want to be able to get a meal ticket and also all allowances that would be given to you on camp. You will be guided on how to register and get your bed space. You will do basically the same thing every day (wake up, move to parade ground etc). Do you know that casual clothes are not permitted on camp? While on camp you are expected to always be on your white short, shirt and shoe. Although, some camps give the liberty to wear casual clothes on Sunday to church and on the day of camp carnival, it is not allowed on any other day. Do you know that on camp everyone is referred to as sir? Be nice to everyone you meet, on camp you never can tell who is really who, so in order to be on the safe side always be respectful and polite. After the completion of your orientation camp, you are to proceed to the next phase of your national service. You will be given your posting letter on the last day of camp; this letter contains the location in the state you have been deployed to. This is referred to as PPA (Place of Primary Assignment). You are not expected to pay anyone for your posting, be wise so you don’t fall for cheap scams. You are expected to leave camp on the day you are posted, but you might be faced with a challenge of where to stay especially if you want to confirm your PPA before going for break. Basically, you are new in the town and have no acquaintances who can accommodate you till you get a place of your own, so where would you stay in the meantime? Do you know there are buildings in every state dedicated to corp members? This are usually referred to as corpers lodge. Locate any of the available corpers lodge closest to your deployment location (muslim corpers association of Nigeria, MCAN and Nigerian Christian corpers Fellowship, NCCF corper lodges are available). It is generally believed that after service the real life begins, as your info padi, we would like to assist in all ways we can to ensure you move from service to a steady income source.